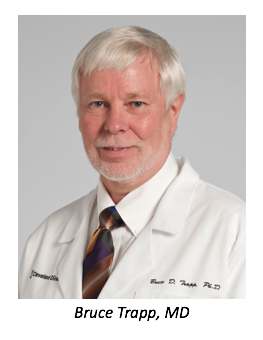 On the heels of the recent discovery of a new subtype of multiple sclerosis (MS), myelocortical MS (MCMS), principal investigator, Bruce Trapp, PhD, spoke with Rare Disease Report® (RDR®) offered additional insight on his team’s findings and what the discovery means for health care providers and patients. While the new subtype provides insight into MS as a whole, questions still remain. Looking forward, Dr. Trapp outlined what the new MCMS data can and cannot define as well as what next steps need to be taken for future research. RDR®: What led to your team’s discovery of this new subtype of MS? Trapp: One of the pathological hallmarks of MS is demyelination of brain white matter. When you demyelinate the brain, the white matter goes from white to brown. As you’re slicing the brain at autopsy, you can see the lesions with the naked eye. When I was slicing through 1 particular brain, I found no lesions apparent. The first thing that came to my kind was ‘Is this really MS?’ But these patients did have MS, and we learned, with additional study, that they had demyelination in the spinal cord and the cerebral cortex, but not the cerebral white matter, which is the hallmark of the disease—not only pathologically—but also in imaging like magnetic resonance imaging (MRI). The question was: how common is this? We went back through 100 brains and found this subtype, which we’re calling myelocortical MS (MCMS), in 12 out of 100, which is 12%, a substantial amount. RDR®: Can you briefly describe your study and what you found? Trapp: I think we have known for some time now that permanent neurological disability in MS patients is due to neurodegeneration—that’s either transection of the axons in the lesions or cortical demyelination. We generally considered that neurodegeneration was a consequence of demyelination. The MCMS patients provided us a platform to really test that hypothesis. We matched those 12 MCMS patients with 12 patients with typical MS, and we quantified the number of neurons in the cerebral cortex. If cerebral white matter demyelination played a significant role in neurodegeneration, then we should see much more neuronal loss in the typical MS than in the MCMS. We looked at 5 regions of the cerebral cortex and 3 layers within those 5 regions. We only looked at cortical regions that were not connected to the spinal cord so we could minimize the effects of spinal cord demyelination on neuronal numbers. What we found was the opposite of what we expected. We found more neuronal loss in MCMS than in typical MS. This observation is significant, and it provides the first pathological evidence that neurodegeneration and demyelination can be independent events in MCMS. RDR®: How common do you think this new subtype, MCMS, could be in the MS population as a whole? Trapp: This is going to require some in-depth studies. We stopped this paper at 100 brains, and, as I mentioned, we’re up to 170. We continue to have about 12% of those additional 70 brains with the branding of MCMS. I presented preliminary parts of this paper at meetings, and I have had neuropathologists from the Netherlands and Britain say they have seen similar patients, but I think we will have to wait and look at more, larger, patient-based analysis. Unfortunately, we can’t identify [MCMS] in living patients yet, so that is certainly 1 of the future directions and current focuses of [our] work—to see if we can identify MCMS patients while they are alive, and if we can get a reliable biomarker—imaging biomarker—then we can certainly do a reliable incidence across thousands of MS patients. RDR®: What are some questions that still remain and deserve further exploration? Trapp: An important question is whether the peripheral immune system and how immune cells in the blood play a role in these lesions, and we don’t know the answer to that. If they do play a role, they’re playing by different rules than what occurs in typical MS because we don’t see this huge infiltration of immune cells, and we don’t see the demyelination of the white matter. There is pathology in the white matter of the MCMS patients in the regions that are altered by MRI, and we have to find some of the changes that occur there in the manuscript. The most significant, in my mind, is that the myelinated axons—these MRI-altered regions—were all myelinated, and the striking pathology is that the myelinated axons were swollen and bigger than they normally should be. The axons seem to be a target in these regions, and we’re interested in figuring out what is causing the swelling of the axons. We would be interested in knowing if this is a primary neurodegeneration of the axon or whether the immune system is somehow triggering an effect in those areas that are causing the swelling. It’s just going to take more studies. RDR®: What does this new discovery mean for clinicians and providers treating MS? Trapp: There is a very fundamental question about MS [that] the data in the study addresses. It certainly doesn’t answer the question, but again, it provides another layer for the debate of whether the disease starts in the brain or starts in the blood. We historically have thought MS is an acquired disease that starts outside the brain. The other hypothesis is that the disease starts in the brain by producing abnormal proteins—modified proteins, lipids, or whatever—which then activates the immune system and causes it to attack. Either way is possible, and we still don’t know the answer. I think it’s worth some time going in and investigating further; having axonal pathology without myelination would add a piece of wood to that fire. It certainly doesn’t prove anything, but I think it potentially gives us a platform to study these effects.